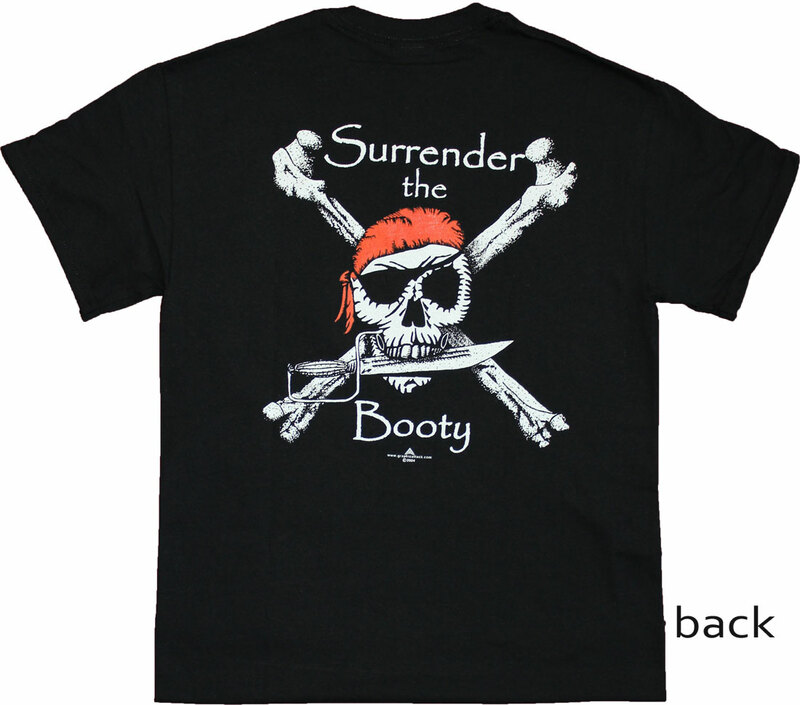 Our Surrender the Booty pirate T-shirts are all high-quality 100% cotton, pre-shrunk shirts. 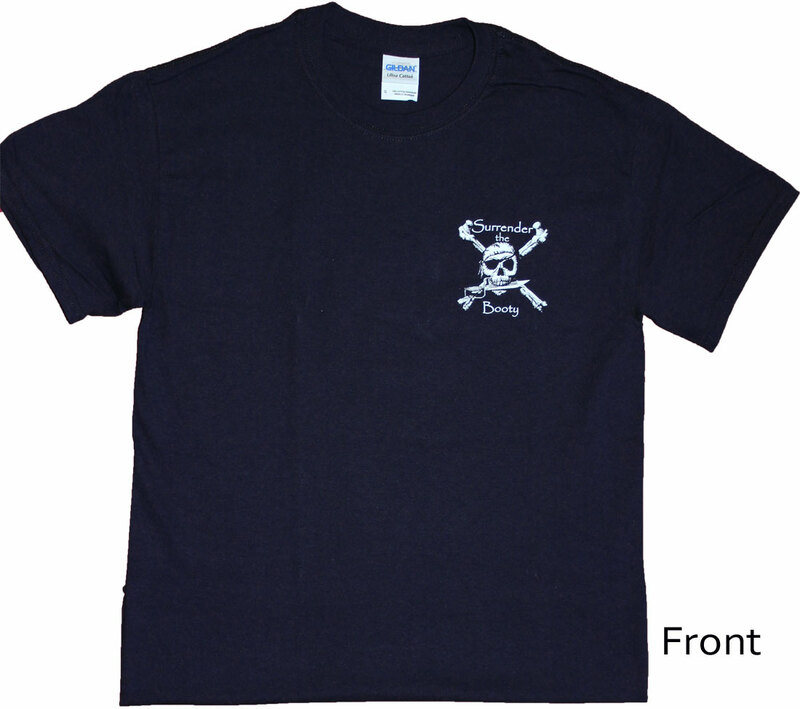 Image is on back of shirt, with a small emblem on the front left chest. In stock, ready to ship!